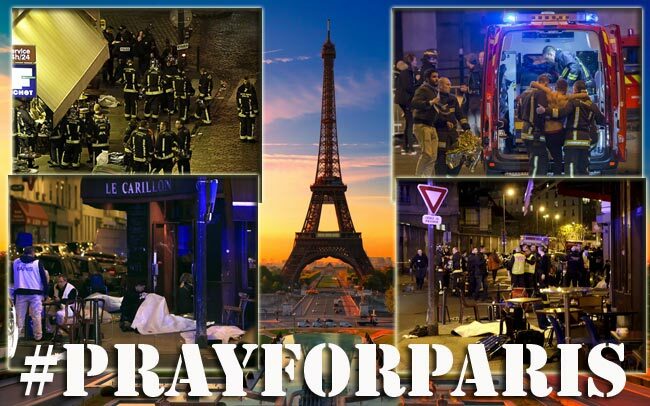 Paris, France --The city of lights and love has been attacked on Friday night, November 13th. French President, François Hollande, called a National Emergency and ordered the increase of border controls and to heighten police powers to assure the security of his people. There were 112 casualties at the Bataclan theater, where an American band, Eagles of Death Metal, had been playing when the shooting occurred. While 14 were killed on Le Petit Cambodge restaurant on Rue Bichat, in the 10th district. In the same district, 4 casualties had been found dead on Avenue de la Republique. While in the 11th district, 19 were found dead outside a bar called La Belle Equipe. Another four casualties were found outside the Stade de France, in Saint-Denis where a soccer match was being played. According to one witness, which one French TV Station had quoted, he had heard one terrorist shouting, "Allahu akbar!”; the Arabic for "God is great" and "it's for Syria" before firing several dozens of fans at the Bataclan. Speculations had occurred that these attacks could be another of ISIS' because it all happened hours after British ISIS member, Jihadi John, was killed by US drone strike in Syria. Meanwhile, at the moment, Paris, France is suffering from great loss and terror. Truly, it has been a nightmare on Friday the 13th.